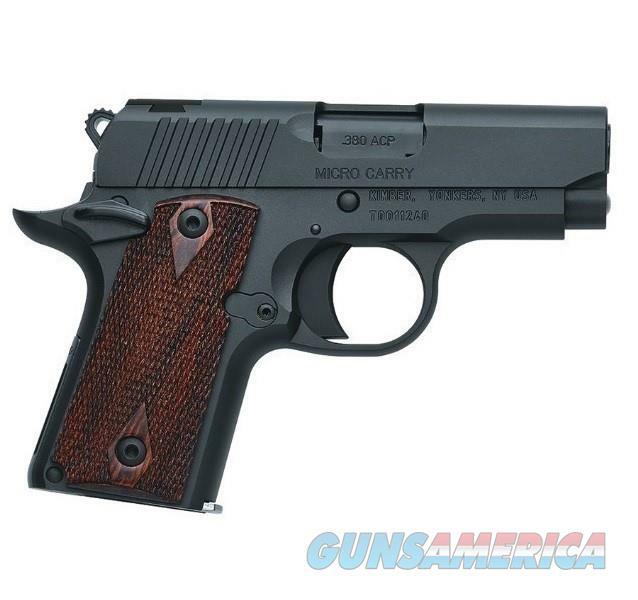 Description: This Kimber Micro RCP is a great compact .380 ACP for personal defense. It offers all of the American manufacturing, accuracy and reliability that you have come to love from Kimber. It features an ambidextrous thumb safety and a carry melt that includes removing any traditional sights and adding a trough. The Micro line is the perfect gun for carry and conceal with an overall length of 5.6 inches and weighing less than 14oz.